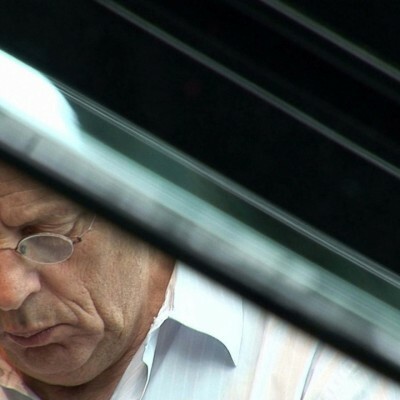 In July 2005, filmmaker Scott Hicks started shooting a documentary about the composer Philip Glass to celebrate his 70th birthday in 2007. Over the next 18 months, Scott followed Philip across three continents – from his annual ride on the Coney Island “Cyclone” to the world premiere of his new opera in Germany and in performance with a didgeridoo virtuoso in Australia. Allowed unprecedented access to Glass’ working process, family, spiritual teachers and long time collaborators, Hicks worked with a skeleton crew and shot the lion’s share of the film himself, giving us a singular revelation into the life of this surprising and complex man. THIRTEEN’s American Masters: GLASS: a portrait of Philip in twelve parts premieres nationally, Wednesday, April 8, 2009 at 9 p.m. (ET) on PBS (check local listings). This documentary is a mosaic film portrait of one of the greatest – and at times controversial – artists of this era. The film coincides with the DVD release from KOCH LORBER Films. Over the year and a half of shooting, GLASS follows the innovative composer with a casual, immediate honesty. The film features performance footage of Glass’ seminal collaboration with Robert Wilson, Einstein on the Beach, interviews with former partners JoAnne Akalaitis and Holly Critchlow, artist Chuck Close, musician Nico Muhly and directors Woody Allen, Errol Morris, Godfrey Reggio and Martin Scorsese. Born in 1937, Glass grew up in Baltimore and was educated at the University of Chicago and The Juilliard School. After a period in Europe where he studied with the legendary Nadia Boulanger and the sitar maestro Ravi Shankar, he returned to New York in 1967 to form the Philip Glass Ensemble. The radical musical group performed at various art happenings in the downtown gallery scene, where Glass cultivated his signature sound. His unique soundscape of reiterative structures was initially vilified but has since achieved international acclaim. Today, his versatile, prolific body of work spans multiple genres including opera, symphony, experimental theater and dance, film score – for which he has received three Oscar nominations – and even rock. His collaborators have ranged from Allen Ginsberg and Twyla Tharp to David Bowie and Paul Simon to Yo-Yo Ma and Doris Lessing.